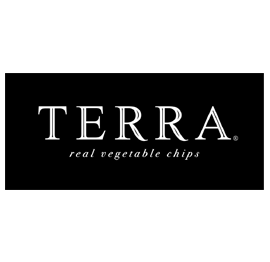 The moment you open the distinctive glossy black bag, you'll recognize & understand the TERRA difference. 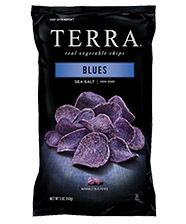 Carefully made from exotic vegetables such as Cuban Batata, Parsnip, Ruby dipped vegetables, naturally blue potato, purple sweet potato, Yuca, Taro, every bag of TERRA real vegetable chips is a feast for your eyes and a delight for your taste buds. 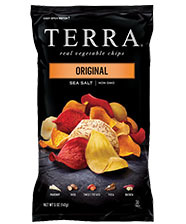 The bountiful colors will intrigue you, and the unique crunch will surprise you. 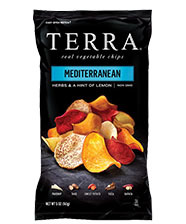 And the taste will keep you coming back for more. 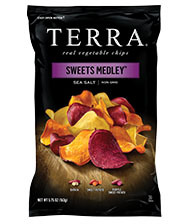 Available in four delicious variants, namely Original, Blues Mediterranean, and Sweets Medley.